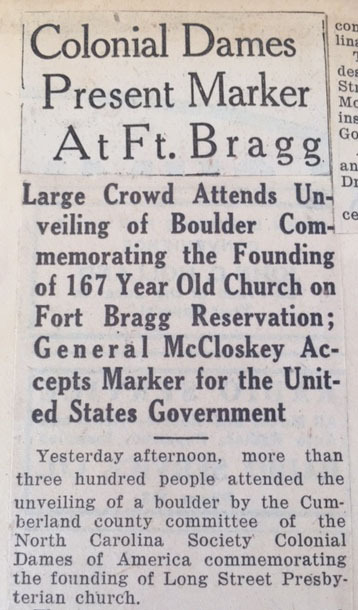 On January 2, 1924, the Cumberland County Committee of the North Carolina Society erected a tablet in the historic Market House in Fayetteville. 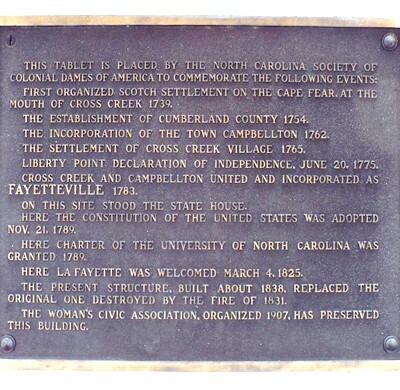 The tablet represents ten important events from the colonial period. Chief Justice Walter Clark of the State Supreme Court, one of the most sought after dedication speakers of the time, delivered the keynote address at the ceremony.